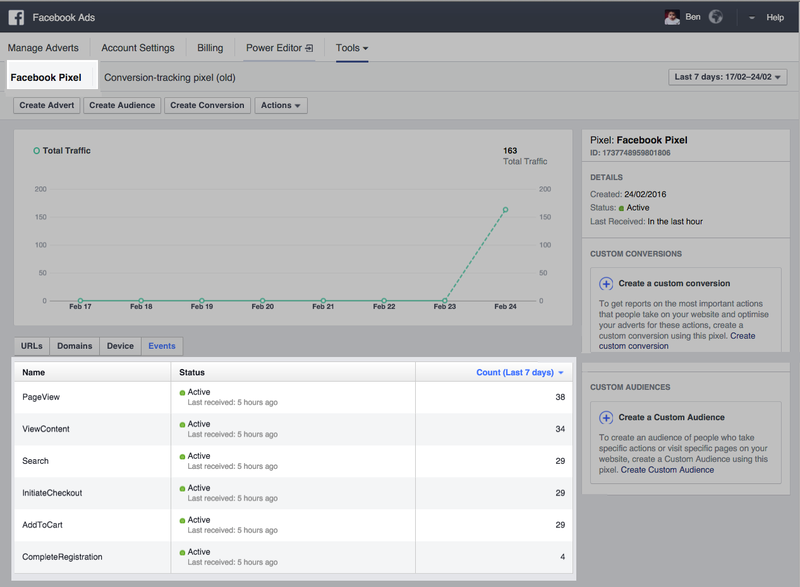 Embed a Facebook Tracking Pixel into Vend Ecommerce – How can we help? 1. You will need to create your custom tracking pixel by following this Facebooks guide. 2. Once you have your Pixel, copy the Pixel code. 3. Head to your Vend Ecommerce Theme by clicking on Ecommerce -> Design -> Theme. 4. Click on the Theme you want to insert the Facebook Pixel into and select Edit HTML/CSS (as shown in the screenshot above. 5. Scroll to the layout -> theme.liquid folder and insert the copied Pixel code between the and tags. 6. Next head to this website where you can view the conversions on your store, by selecting Facebook Pixel. Note: The checkout flow and order confirmation pages are hosted on our SSL certified web server. Currently, our security protocols do not allow tracking of conversions for the checkout flow, or order confirmation as custom CSS/HTML cannot be injected into these pages.